A five day joint staff training event for the consortium of the Healthy Diversity project took place in Rugby, UK on 9th – 13th October 2015. Healthy Diversity is a new three year project co-funded by the Erasmus+ Programme, Key Action 2 – Strategic Partnerships in the field of vocational education and training (VET). Healthy Diversity project objective is improve the capacity of health professionals and institutions in meeting the needs of a culturally diverse patient group, thereby reducing the barriers to accessing services and alleviating different forms of discrimination within the health sector. 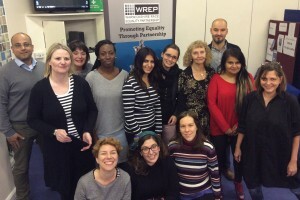 The partnership is made up of 7 partners from 6 European countries which include Warwickshire Race Equality Partnership – WREP (UK – Coordinator), Artemisszió Alapítvány (Hungary), Elan Interculturel (France), Mhtconsult (Denmark), CESIE (Italy), University of Vienna (Austria) and South Warwickshire NHS Foundation Trust (UK). 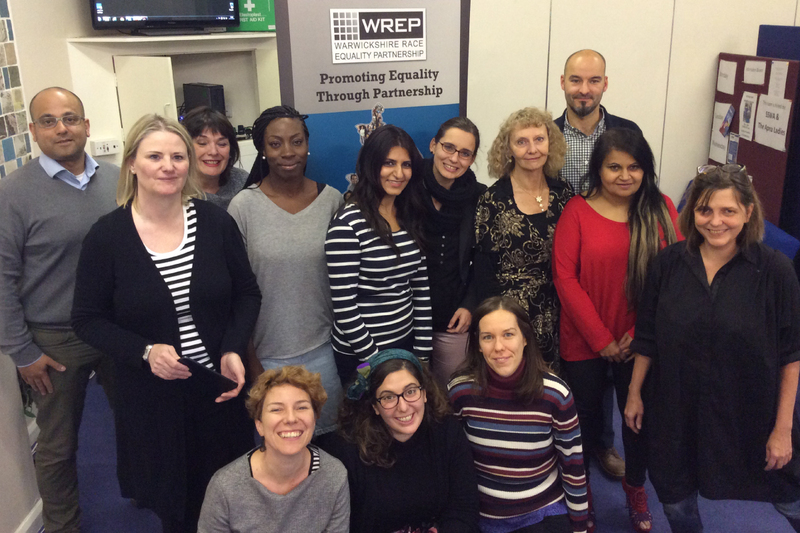 The training event hosted by WREP was the first meeting for the consortium and was focused on the training of staff from each partner organisation to develop a common framework, vocabulary on cultural diversity and the transfer of research methodologies, in particular the methodology of critical incidents which is a complex case analysis method which will be adopted during the project for use with professionals in the health sector. This methodology developed by Cohen-Emerique, although widely used in France, Québec and French-speaking Belgium is less familiar in other countries and not used in the health sector. The training event was delivered by Elan Interculturel who have collaborated with Cohen-Emerique for many years, namely in the adaptation of her method to work on the subject of body, gender, sexuality, health and disability in the adult training context. Topics of the trainings covered: introduction to the theories of culture, the concept culture shock and critical incident methodology, collection of critical incidents and discussion of cases, sensitive zones in health. At the end of the training, the 13 participants from across the partner organisations had shared and acquired knowledge in the area of culture and diversity within health and transferred skills for the critical incident methodology and its adaptation in the health sector in the partner countries. The outcomes from the training will support the first intellectual output for the project IO1 Manual of Critical Incidents. Based on the method of critical incidents, through workshops at local level, partners will collect such incidents from health professionals involved in multicultural environments. The manual will provide the health sector a valuable tool to help deconstruct preconceptions and prevent generalisation of cultural differences. The Healthy Diversity project recognizes that cultural differences do matter in the capacity to provide and access health services. Professionals meet challenges related to cultural differences regularly, reflecting different conceptions and norms related to the body, to birth, to illness, to death, to medicine etc. These challenges, when not addressed properly, can result in the refusal of the treatment and hence the failure of the professionals to achieve their objectives. To address this issue, Healthy Diversity will offer innovative ICT based training tools to address cultural diversity in the health sector – both in terms of the client / patient groups served and the diversity of the personnel of health institutions. This will support the development of the intercultural competences of health professionals as well as the development of health institutions’ capacity to handle diversity. The next partnership meeting will take place in Paris hosted by Elan Interculturel in June 2016. For further information about the Healthy Diversity project, please contact Noemi De Luca – noemi.deluca@cesie.org.